Eat, drink and be merry! As part of its Neighborhood Drink of the Month, Applebee’s Neighborhood Grill + Bar is serving up a jolly good time for just a little jingle. Known as the DOLLAR JOLLY, the discounted vodka drink is available every day in December at participating locations — served in an ice-cold 10-oz. mug. 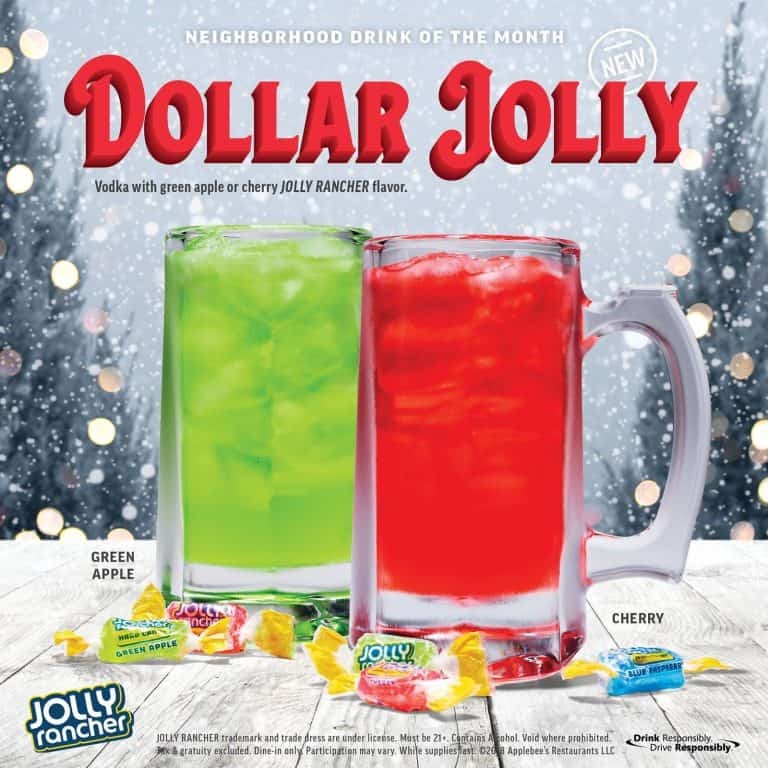 The drink is vodka & cherry or green apple Jolly Rancher flavor served with a Jolly Rancher hard candy — for just $1.